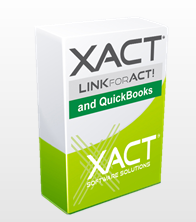 Run a variety of QuickBooks reports from within ACT! contain filters and some have the ability to export to CSV and convert the report to an ACT! lookup.